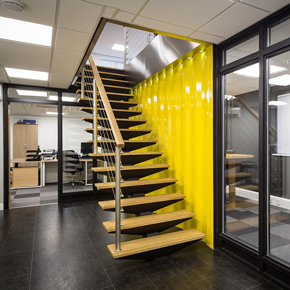 Whilst modular construction is not new, it is no surprise that interest in this approach is gaining more traction. “Is modular construction ideal compared to conventionally built structures?” is a question that is commonly asked. A building construction out in the open can often be slowed down if there are poor environmental factors, such as bad weather conditions. However, this problem is eliminated with modular construction, as the building is completed in an enclosed space away from external factors. For this reason, these types of buildings are typically completed in 30-50% less time than more traditional building methods; allowing deadlines to be stuck to. As modular buildings are completed in manufacturing plants, they are never delayed by weather conditions and always occurs within a set timeframe. The site preparation can also take place while the modular building is being constructed. As modular constructions are usually completed in shorter timeframes than traditional construction methods, costs can be less too. This is due to several factors; the first one being cheaper labour costs, as fewer days are needed to complete the construction. Other cost saving areas include material costs. Bad weather can cause damage to materials, but indoor construction eliminates this issue. Additionally, factories are often more secure than building sites, so the risk of vandalism is reduced. As modular constructions need to be transported to a different location once built, the building will need to be strong enough to withstand the transportation process to a new location. Once the construction has arrived at its destination, it will then need to be craned onto the foundations. Whilst conventionally built buildings need to be extremely hardwearing too, this is not taken into consideration during construction as they don’t need to be transported and craned onto foundations. Conventionally built buildings will already have their location decided before they’ve been built. Once construction has been completed, they stay there forever, unless they’re knocked down. However, this isn’t the case with modular constructions. Whilst permanent modular buildings are an option if you so choose, opting for a portable, or temporary, modular building will provide you with a higher degree of flexibility. A portable building can be transported to several different locations, so you can continue to use it even if it is no longer needed in the original location. The strong build of modular constructions means that they can withstand the upheaval and movement, so there are no issues there. 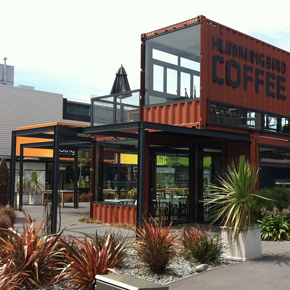 Modular buildings can also be used for a range of purposes. 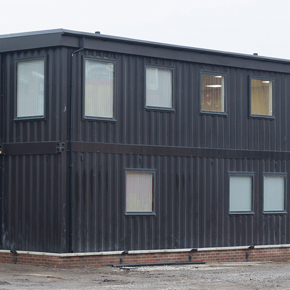 Whether you require space for a new office or a school classroom, a modular construction is flexible enough to be tailor to your needs. Another important consideration when looking at modular construction is the ease of future expansion or modification. A major concern in today’s society is building in an environmentally friendly way. Modular components are manufactured and assembled in a factory environment, where there is reduced noise and dust on site. The material tolerances are much better since everything is done with the proper tools in a controlled environment. Because modular constructions are completed in enclosed space, disruption is kept to an absolute minimum at their next chosen location. If your modular construction is going to be used as a new office at an existing company, business will still be usual on-site. When the building is completed, it can then be delivered on site. No noisy building work is required.